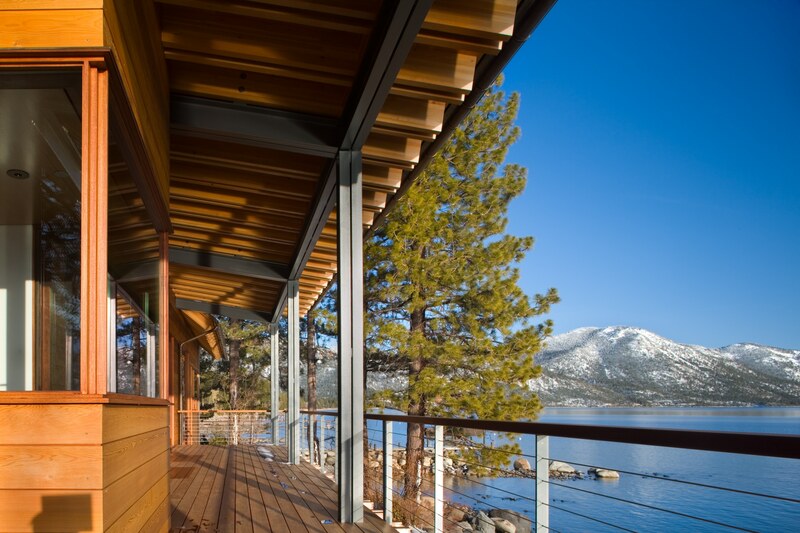 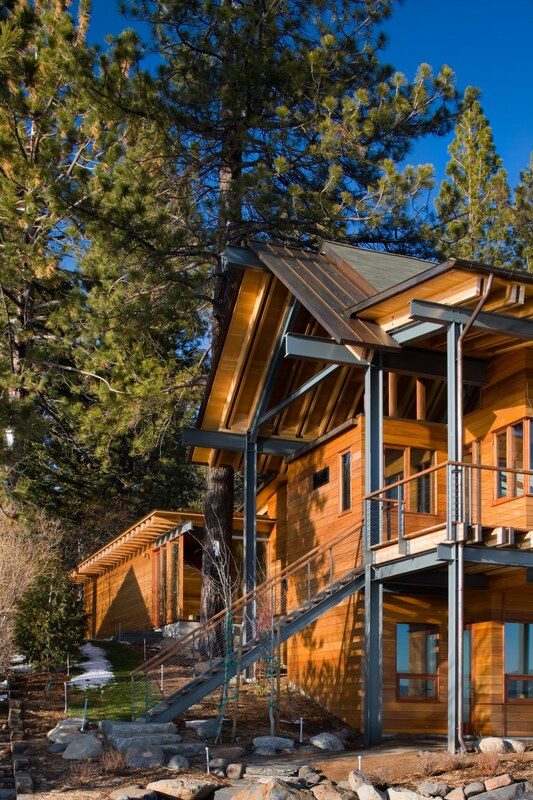 This finely crafted jewel box residence on the north shore of Lake Tahoe is a two-story structure with the lower level benched into the sloping shore and day-lighting towards the lake. 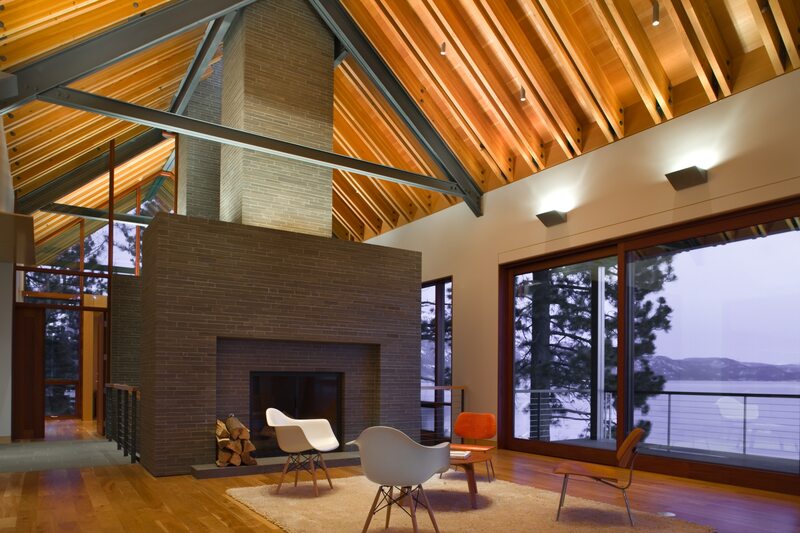 The structure is a thoughtful amalgamation of timber, structural steel, and board formed concrete construction. 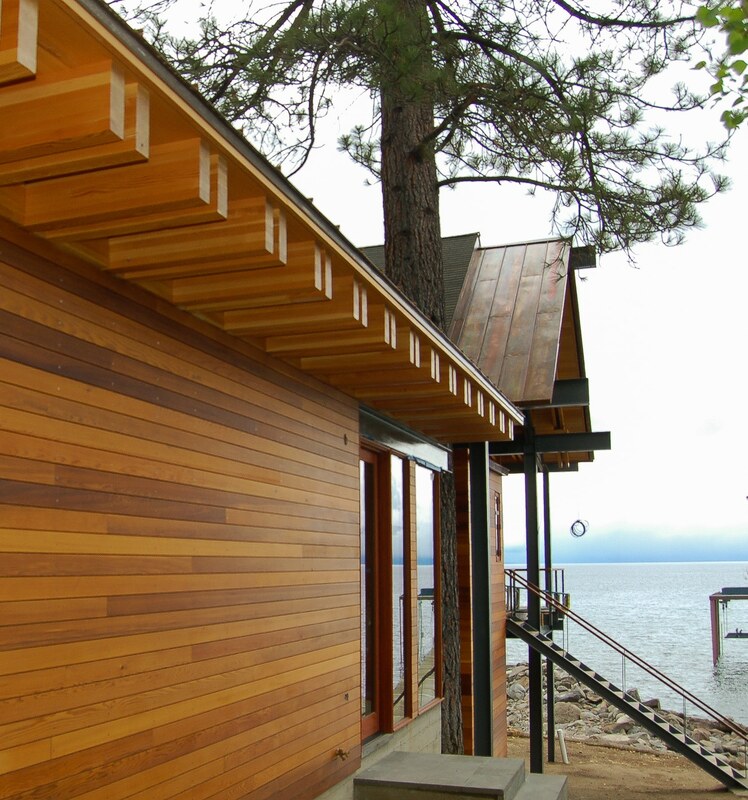 Exposed channel bents with double channel cross ties span between wide flange or double channel columns at each bay to stay the steeply pitched roof and provide an aesthetic theme, which continues outside to the double channel beams and columns at the exterior balconies. 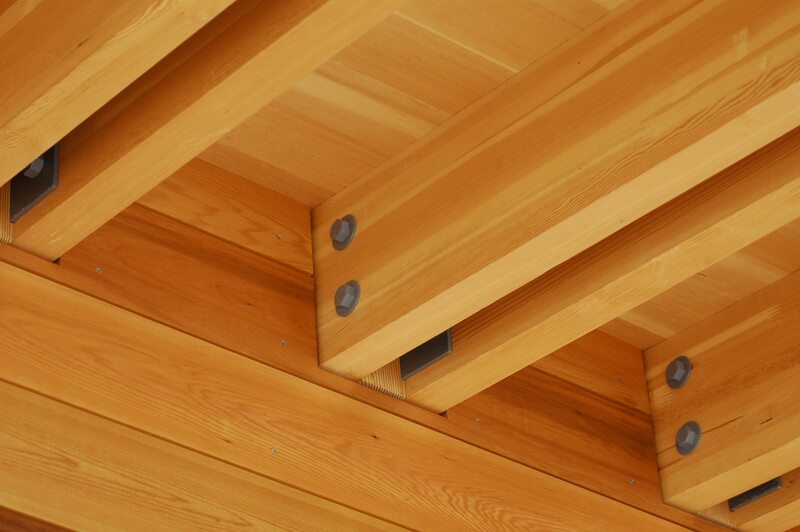 Developed custom blind connections to bring double glue-lam beam rafters closer together and connect to steel beam supports at each eave while avoiding visible bird’s mouth rafter cuts. 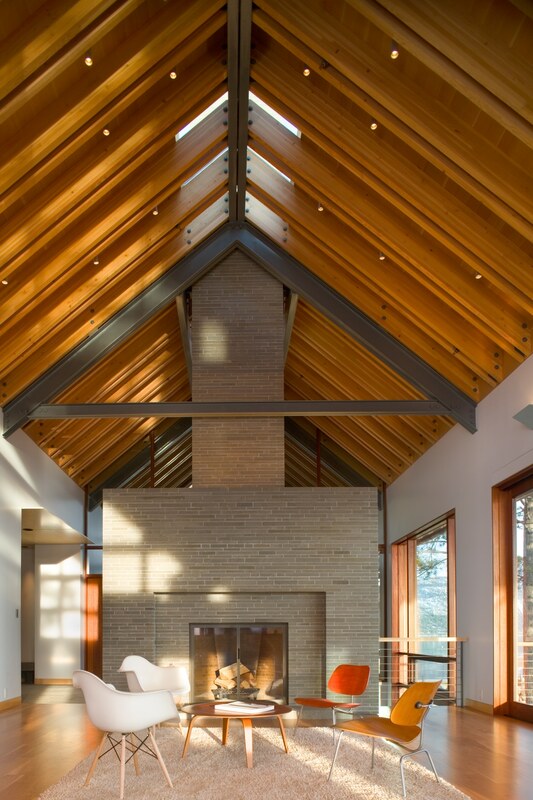 Worked with Architect to develop highly refined, clean timber framing to structural steel connections in all areas with architecturally exposed structural steel framing. 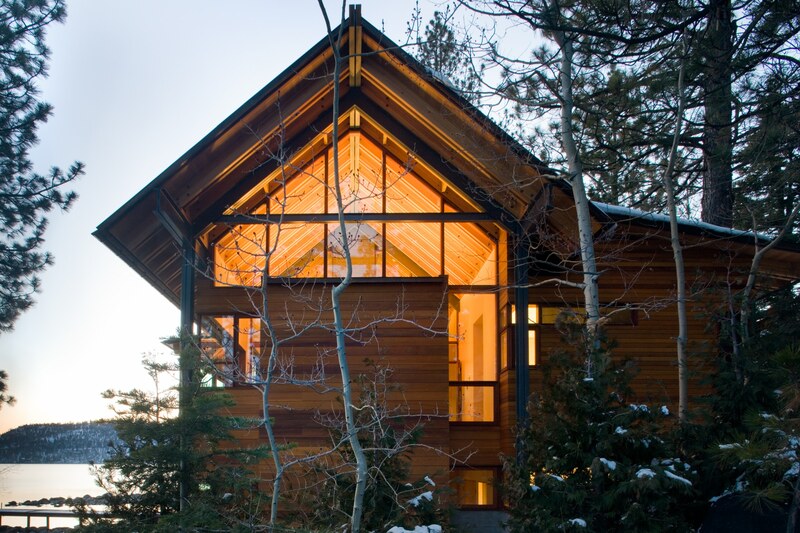 Structure designed for heavy snow drift loads (+500psf) and 300 mph wind gusts from lake. 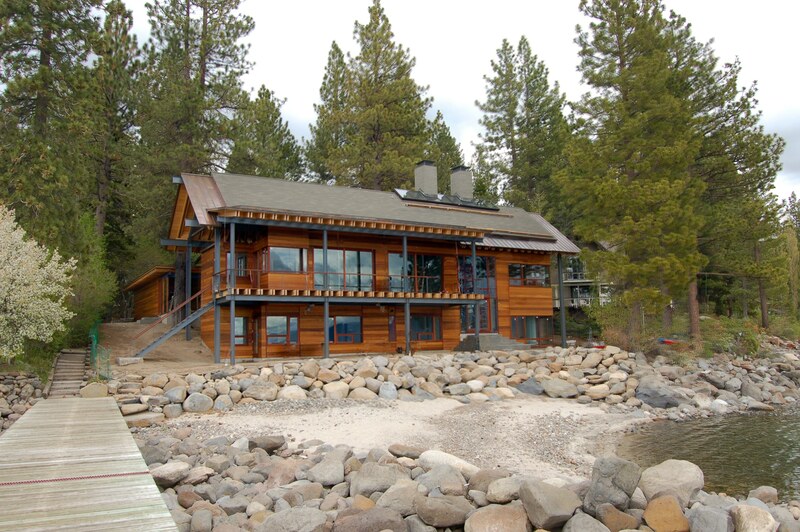 4-inch thick stone-clad CMU chimneys extend 42 feet from the basement through a stair atrium and include specially designed yielding connections at the roof level to reduce the risk of chimney damage due to excessive roof deflection in an earthquake. 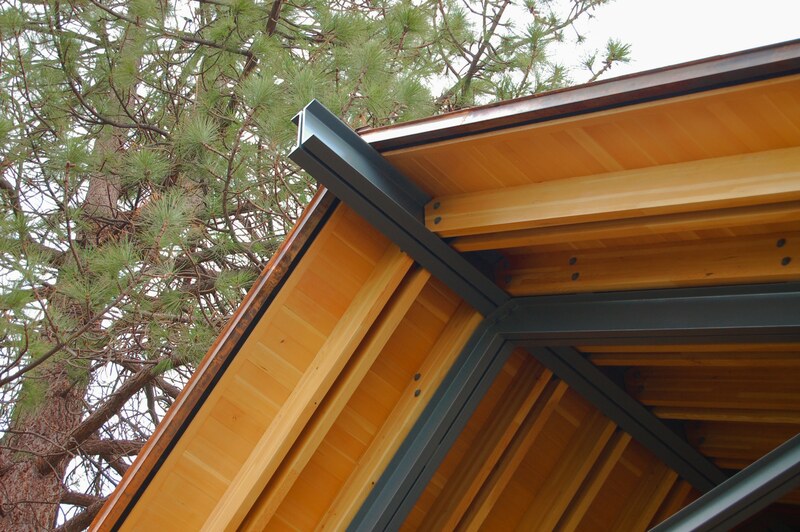 Optimized roof eave to provide longest and thinnest possible profile while supporting heavy snow loads.